Lisa has been a member of Kokomo First Assembly for 9 years and recently joined the KFA ministerial team in June of 2016 as the KF Kids Ministry Director. Lisa has an AA Degree with an emphasis on Early Child Development, and has been a director of three registered ministry daycares as well as owned and operated her own home daycare. While earning her AA, she received accreditation from NAEYC (National Association for Education of Young Children and from CARE (Childcare Alliance for Resource and Education). 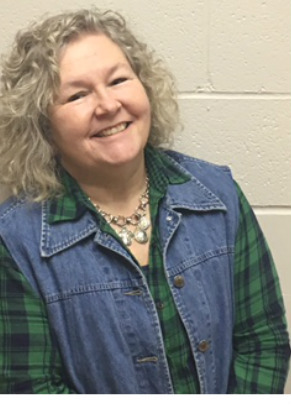 Lisa has served as a board member for Bridges Outreach ministry and has been employed in the Kokomo School Corporation working with children of all ages. She is an active volunteer with Pregnancy Resource Center (PRC) in Kokomo. Lisa is married to Tom, her best friend of 39 years, and they have two beautiful daughters Nadine Eckart and Celia Fitzcharles, and nine grandchildren. She loves spending time with all her grandchildren. One of her favorite activities is camping. She also loves auctions, interior designing, crochet and reading. God has placed a vision in her heart to “bring the children out of the storm". She has a passion for kids to develop a relationship with Jesus.